Out-of-hours medical help phone services are not being monitored properly and are failing its patients, a committee of MPs has said this week. Out-of-hours phone services were set up to help patients during the hours of 6.30pm to 8am, daily, and at all times during weekends and public holidays. A report by the Public Accounts Committee looked into the effectiveness of changes made by the Department of Health (DoH) in 2004 - key of which was giving GPs the option of not providing the service directly and handing it over to a Primary care trust. The committee found the new services were failing on three key standards - meeting the requirements for answering calls quickly, definitive clinical assessment and fast consultation times. The cost of the new out-of-hours service has cost over £70 million more than expected. The report stated only two per cent of the service providers reported they were complying with any one standard. But it was the majority of the services' inability to provide adequate feedback data that was the key problem. 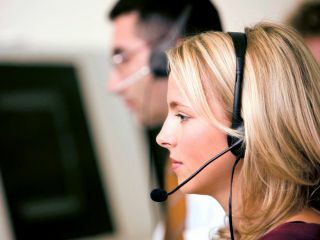 The committee pointed to a lack of funding to bring in new technology to improve call management. Gary Belfield, the Department of Health's head of primary care, gave evidence to the committee, reports Kablenet.com. He said: "Without a call management system we cannot record how long people have been waiting, and that is something we need to address." According to the Public Accounts Committee, approximately nine million patients receive urgent primary out-of-hours care in England every year. This also includes house calls and other forms of personal care.